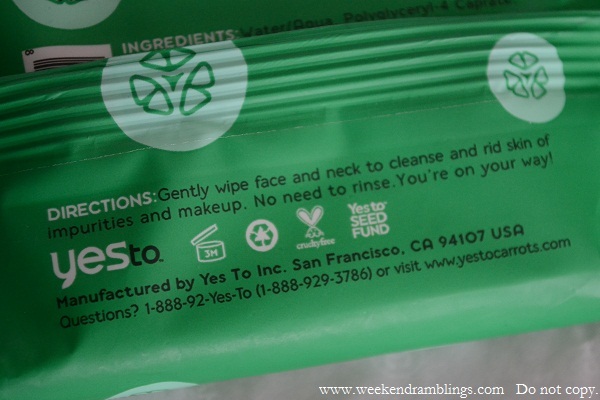 Yes To Cucumbers On The Go Facial Wipes are 98.7% natural, hypoallergenic, and made from organic cucumber and aloe vera. 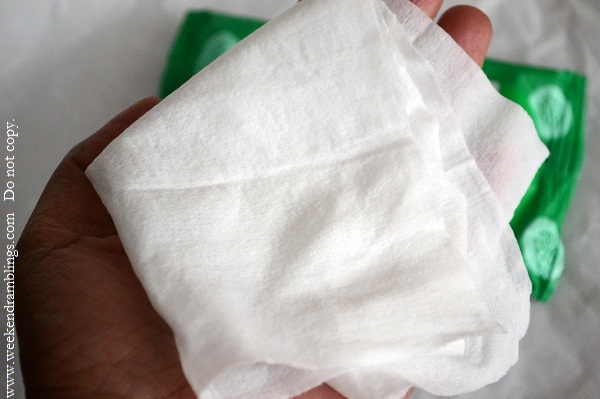 Designed for the trendy traveler, this package of travel towelettes will fit right into your purse (or a TSA size clear plastic bag!) to cleanse, soothe and remove makeup to refresh your beautiful face, regardless of where you are. 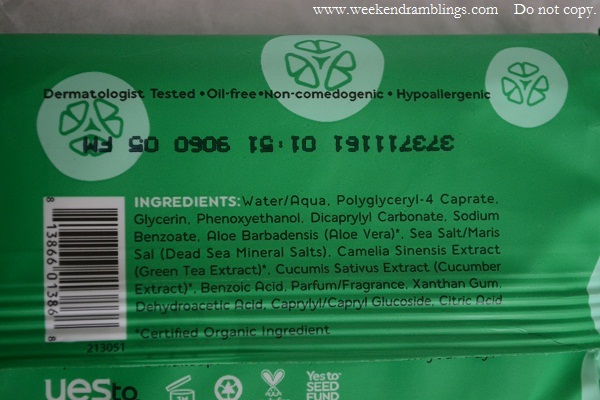 Refreshing scent with benefits of cucumber, green tea, and aloe. Leaves skin feeling very cool and soothed. Wipe off makeup and dirt without leaving any oily film on my face - of course, I don't use waterproof makeup, so I don't know about that. 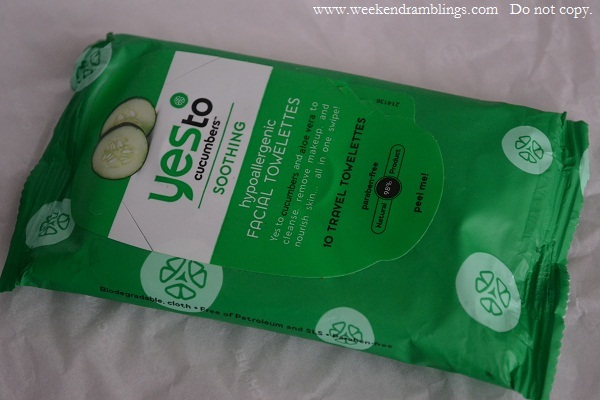 These are awesome, smell great, and don't leave any residue - no break outs and no irritation. 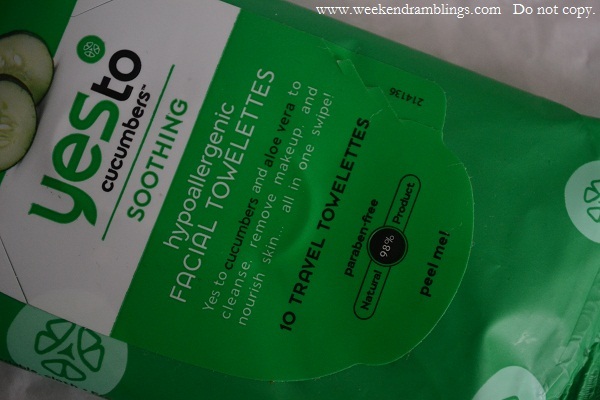 I have read so many rave reviews about this brand, and now that I tried this simple little towelette, I am definitely going to try their other products soon. Its a good deal with the money u r getting them in especially to wipe makeup..Is it good for eyes as they havent mentioned anything? ?